Have you ever used your smartphone or tablet to look something up on the internet? Stupid question, right? Of course you have. Whether you’re looking up the menu of a restaurant your friend suggested, the hours of the local coffee shop, or whether there’s a coupon available for your oil change. Guess what, people are starting to look for lawyers the same way you look for restaurants – on the internet. Many, if not most, of them will be looking up your law firm directly from their smartphone or tablet. Just like you, they hate it when the websites they want to see aren’t designed to work well on mobile devices. Oh, and Google hates it too. And Google’s decided to do something about it. As of April 21, 2015, Google will start penalizing websites that aren’t “mobile friendly.” That’s right, your search engine ranking, that number you paid those marketing guys to improve will suddenly get worse if your website doesn’t work well for mobile. So what’s behind Google’s move, and what can you do? 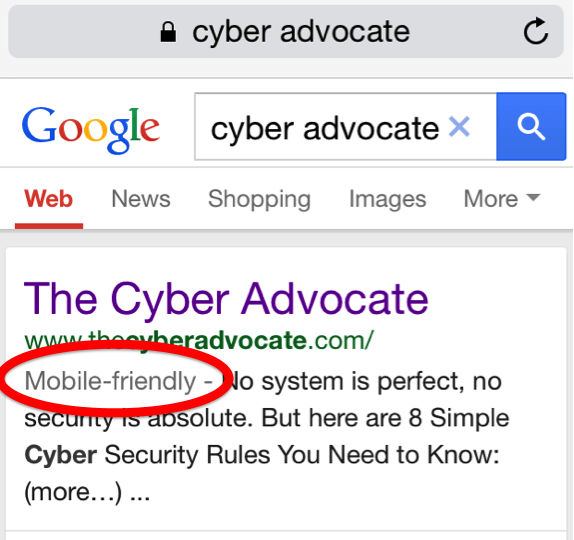 1) Why does Google care about mobile friendly websites? First and foremost, Google cares for the exact same reason you should care: your customers care. More and more, people are looking to the internet to shop. Along with that, more and more are doing so from their mobile devices. A study released just last week indicates that as much as 60% of all consumer internet searches are happening from mobile devices. People tend to want some sort of resolution to whatever problem is on their mind at any given time. Whether they happen to be at home, at their office, or anywhere else in the world, they’re just as likely to look for that information on their smartphone as their computer. 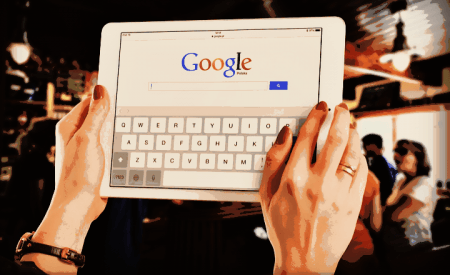 Making sure they have a great experience has become a priority for Google, and it should definitely be a priority for your firm. 2) What kind of penalty are we talking about? Google’s search engine rankings are based on a combination of numerous factors that are modified and updated regularly. Entire cottage industries exist to best take advantage of what factors Google uses, and predict how they might change in the future. So what does this really mean? Well, if you’re website isn’t “mobile friendly,” your website won’t rank as highly in Google search results for relevant keywords. While this might not matter much for anyone who looks for your firm specifically, your firm could be pushed way down the list for anyone using other search terms. And if you don’t think that’s much of a penalty, check this out: a recent study found that over 71% of results listed on the first page of a search received a click. Page two and three combined only received 5%. However, even location on that first page can be crucial. While the top 5 results received over 67% of the clicks, results 6-10 only got 6%. Where your website ranks has a massive impact on how frequently your website gets visitors. 3) How do I know if my website is mobile friendly? The second way to check is to go to Google’s own Mobile Friendly Test site. 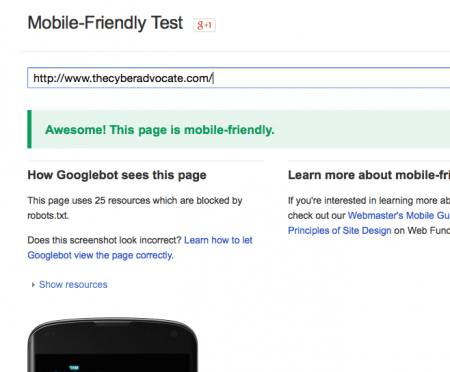 Plug in your site’s URL, and they’ll let you know if your site is mobile friendly. 4) If my law firm’s website isn’t mobile friendly, what should I do? There are a lot of things that can be done, but most start with diagnosing exactly what your site’s specific problems are. First, you should ask whomever set up or designed your site if it has a “responsive” design. Websites with a responsive design adjust themselves based on whatever divide they’re being viewed on to minimize scrolling. If your website doesn’t have a responsive design, you should upgrade ASAP. Google also offers a collection of tools for making your website mobile friendly regardless of your website design knowledge. For those of us with no experience, Google offers advice for talking about mobile friendly websites with developers. For those looking to take care of the issue themselves, a suite of apps is available. However, once you’re qualified as mobile friendly, you really shouldn’t stop there. Check out your website’s “mobile usability” to see how you can improve your site in numerous ways for a better experience. Use Google’s PageSpeed Insights to see what you can do to make sure users aren’t waiting too long to get to your site. Finally, use Google’s Search queries to dig deeper into the differences between those who get to your firm via mobile from those using desktop. Do the two groups use exactly the same search terms to get to your site? Are mobile users clicking to your site? By understanding how your mobile search audience and your desktop search audience differ, you can better market to those different groups. 5) This all seems like a lot. Why should I care about being mobile friendly? Aside from the obvious that you want your clients and potential clients to have the best possible experience on your website? If I can’t convince you based on benefiting your clients, how about a more competitive approach? According to a recent survey, only one third of law firm websites are optimized for mobile. While I can’t say with any degree of scientific certainty, I would be willing to bet that the law firms with mobile friendly sites are predominantly from the following: plaintiff’s personal injury firms and BigLaw firms. If you’re in either of those two groups, then you need to make your website mobile friendly because your competitors already are. 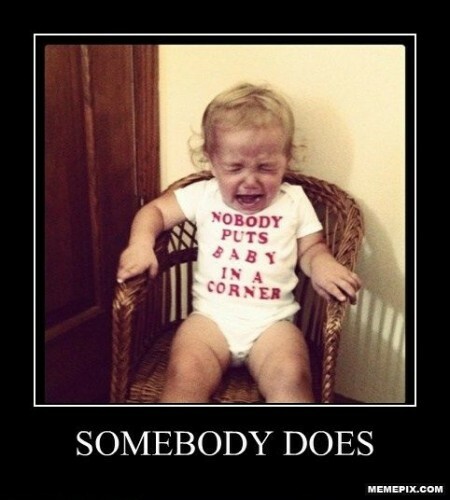 Can you really afford to drop three, four, five spots in search engine rankings? Particularly when considering what I mentioned earlier about how important rankings are? If you’re not in either of those two groups, then this could be your chance to gain a competitive edge. Law firms are routinely hounded for not keeping current with the times, but when it comes to competition, there aren’t many better. Would you really pass up this chance to outdo your competitors? 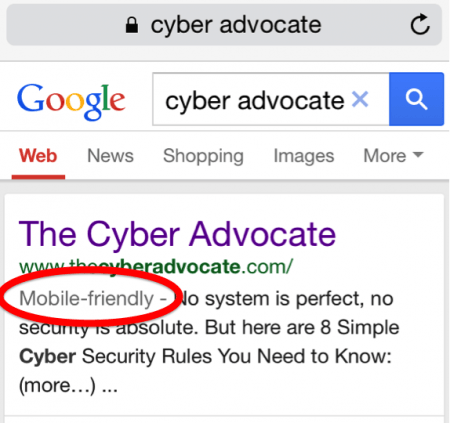 Google will begin penalizing websites that aren’t mobile friendly on April 21. No matter what you’re doing to try and boost your law firm’s SEO rankings, we can all agree that it’s pretty dumb to be warned about potential penalties and not react. Making sure the clients and potential clients who reach your website on a mobile device enjoy their experience should be a high priority. Now, you have no excuse for not making sure that happens.